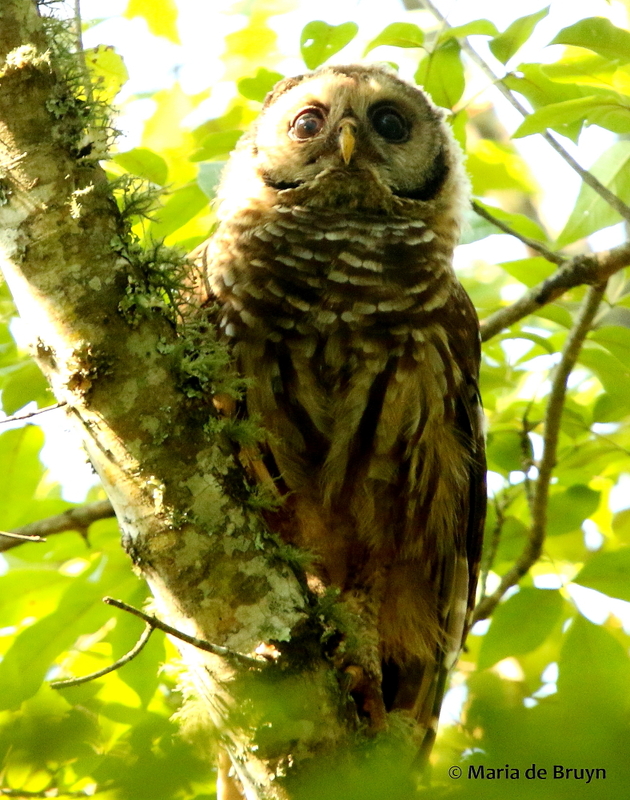 In the nest, baby barred owls (Strix varia) are vulnerable to predators including hawks, weasels, raccoons and other owls. When they are out on their own and already able to fly, they eventually have less to fear. 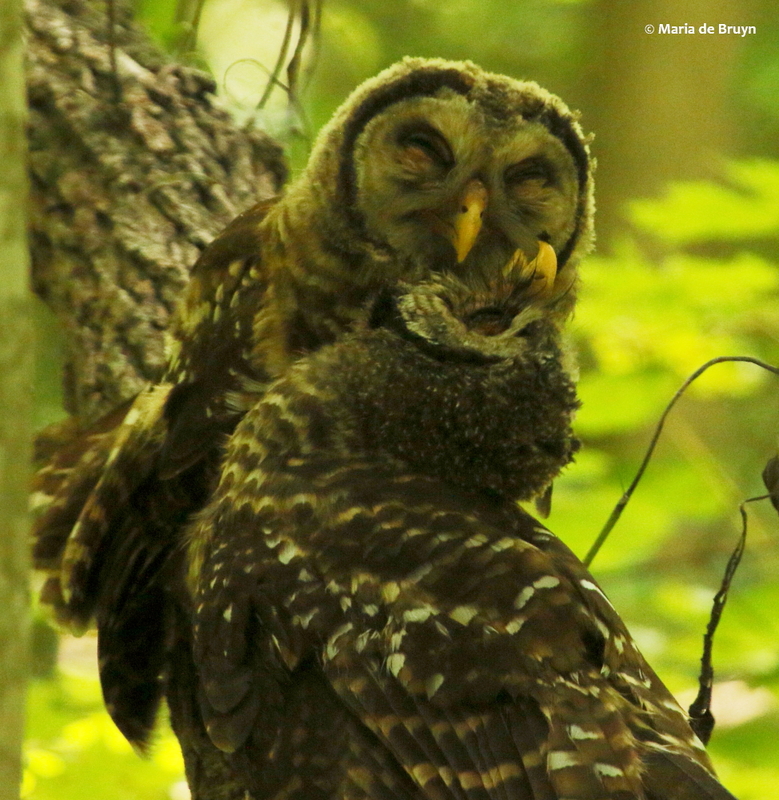 Their main predator becomes the one owl larger than they are in North Carolina, the great horned owl. As pointed out in the previous blog, however, they can be fearsome predators to many other species of animals including songbirds, woodpeckers and other avian species. 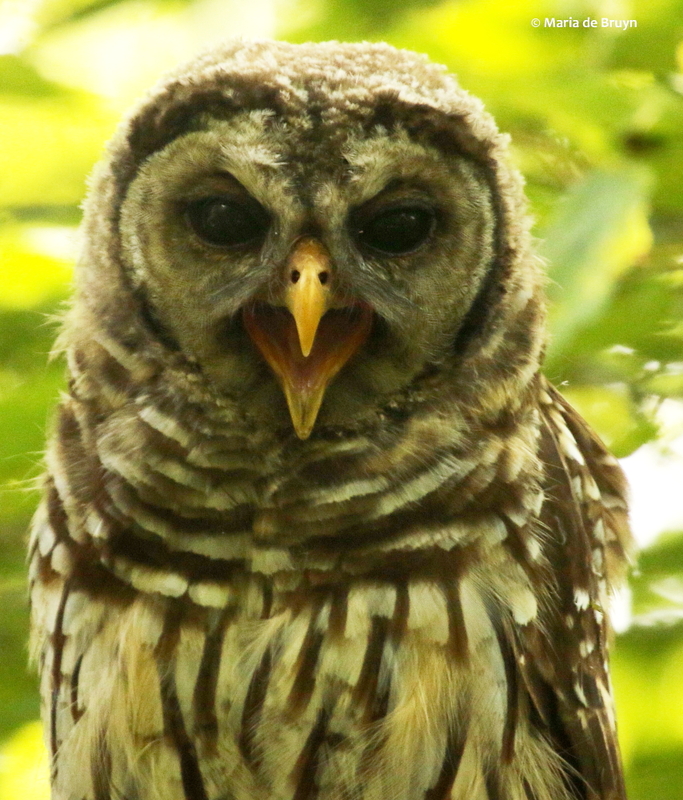 On a few occasions, I noticed the young owls at the Mason Farm Biological Reserve gazing about with expressions that seemed to express wonder and confusion. It turned out that they were being dive-bombed by members of a very small bird species, the blue-gray gnatcatchers (Polioptila caerulea). 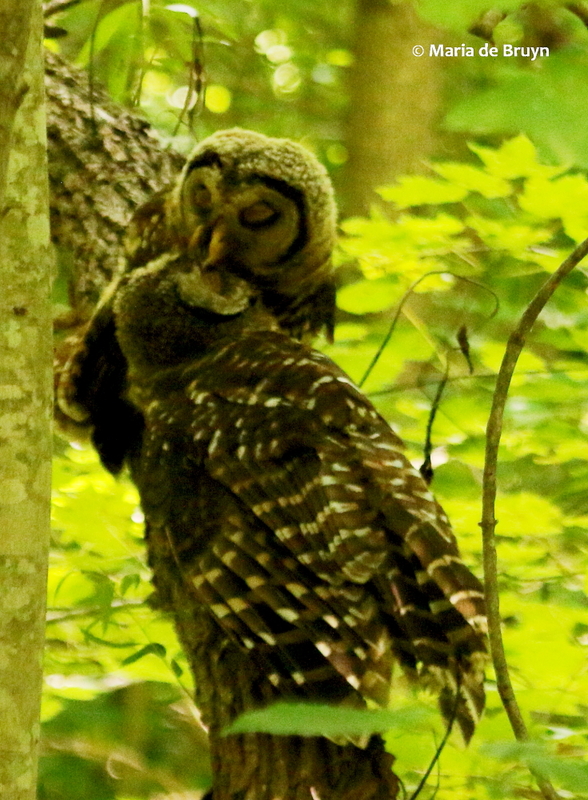 The owlets seemed to have no interest in pursuing the gnatcatchers, but they were perching in areas where the small birds had had their nests so the little gnatcatchers did their best to drive the owls away. 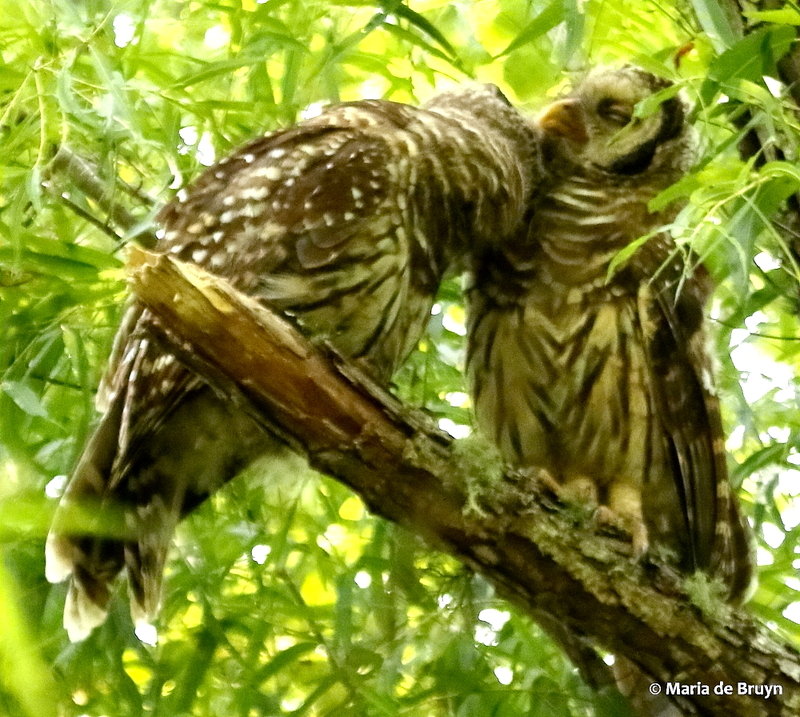 The young owls were very affectionate with one another. 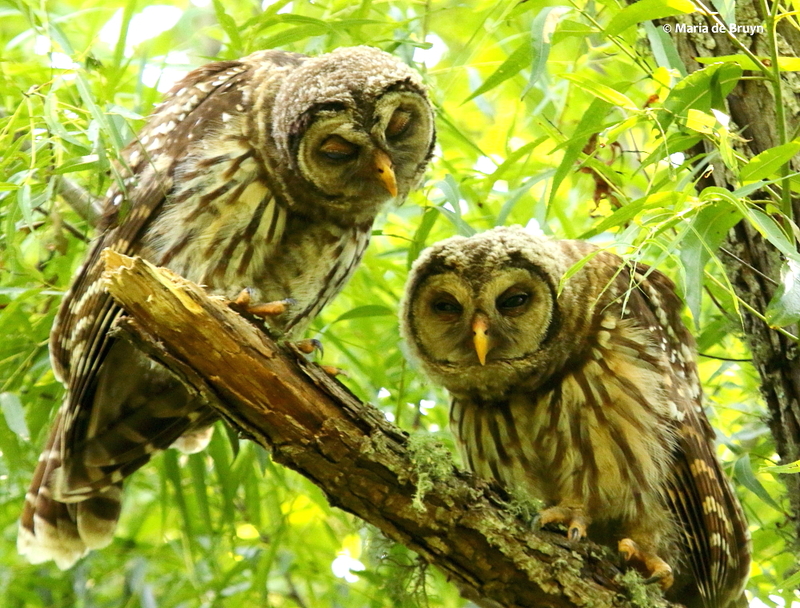 They often perched next to or near one another. 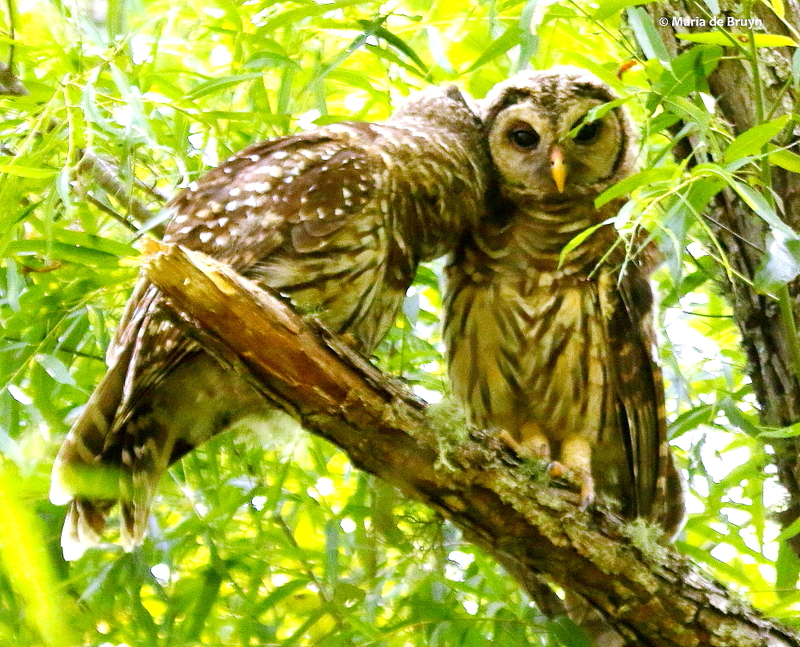 They often sat close together, expressing what looked to me like affection. When they were apart, they would vocalize. It would have been cool to be privy to the meaning of their communications. 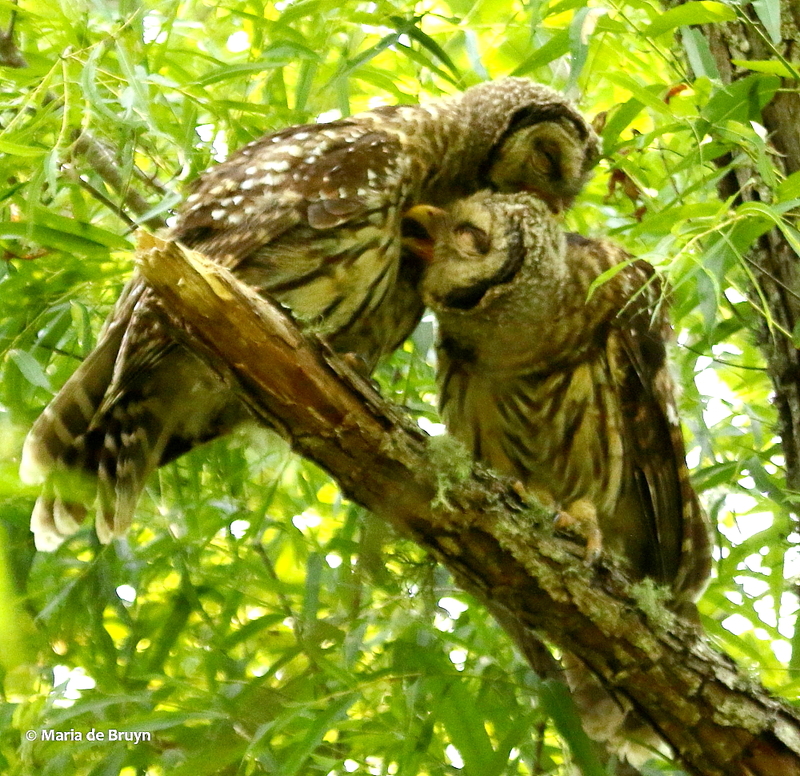 The young birds seemed to enjoy nuzzling and grooming each other. 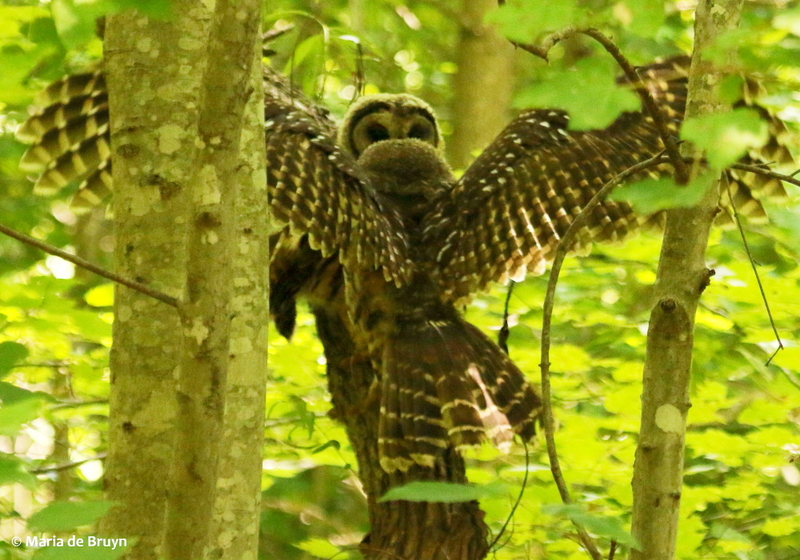 When I stopped seeing the young owls in their usual haunts, I figured the time had come for them to separate and seek out a mate and new territory. 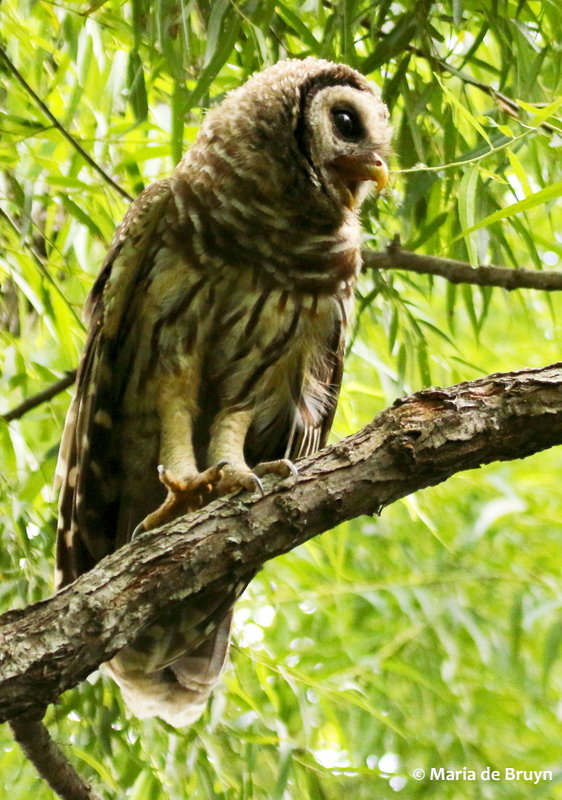 Mated owls usually establish nests about 400 yards away from other barred owls although some nests have been observed as close as 100 to 200 yards apart. 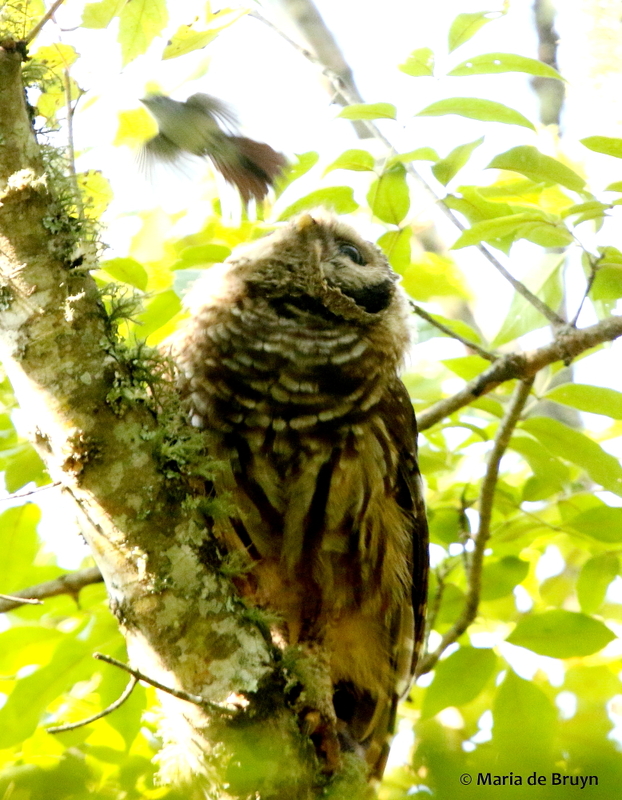 The young owls may not have flown very far away but they did need to leave their parents’ area. I hope they made it and was happy to have had the opportunity to watch them mature. 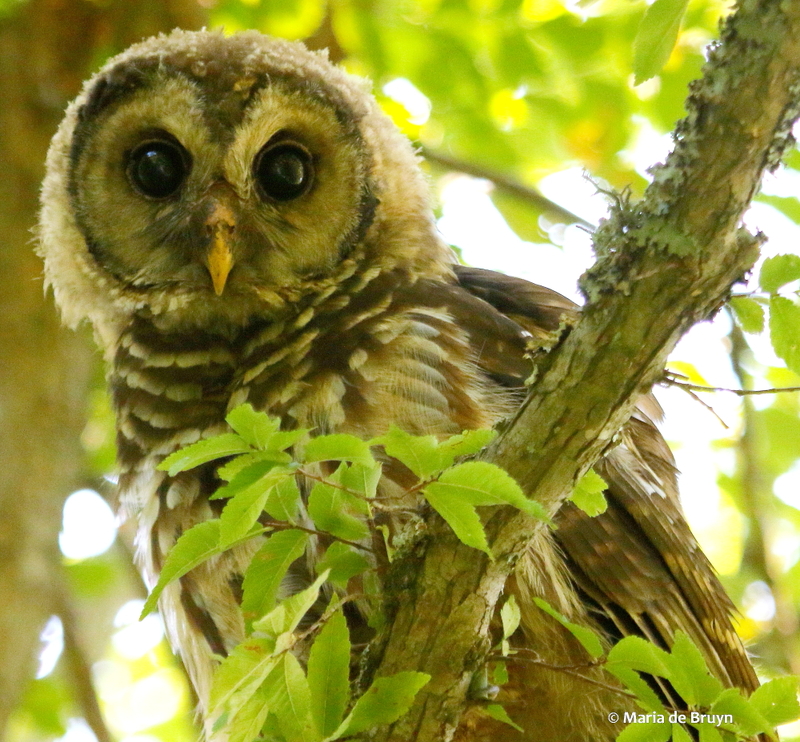 My next goal for owls – to see a species in the wild that I have not yet seen (e.g., great grey owl, screech owl, barn owl, etc.). 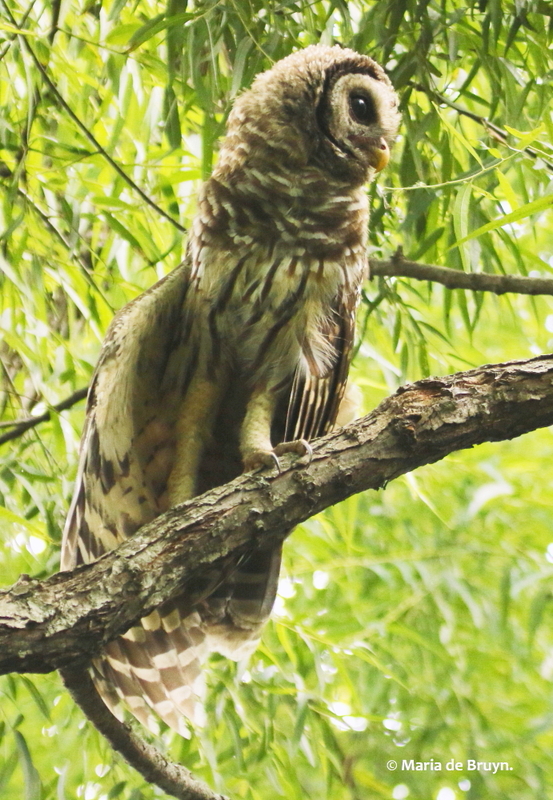 I hope you, too, have the chance to see members of this avian group up close! 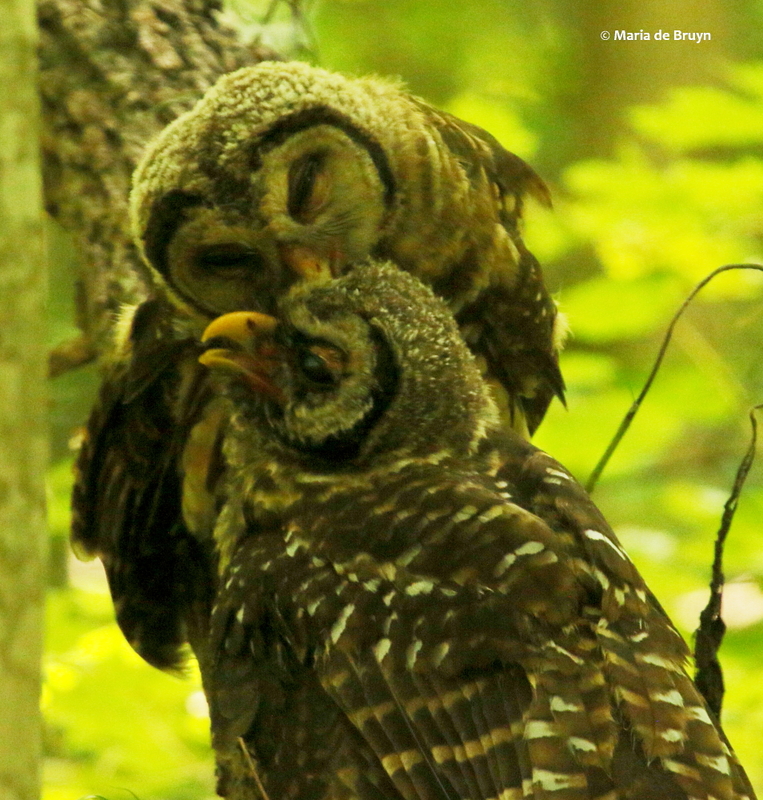 This entry was posted in Animal behavior, Birds, nature, wildlife and tagged affection, avian, barred owl, behavior, bird, blue-gray gnatcatcher, environment, Mason Farm Biological Reserve, mobbing, nature, North Carolina, Polioptila caerulea, predator, prey, scientific identification, scientific name, Strix varia, territory, wildlife by Maria dB. Bookmark the permalink. 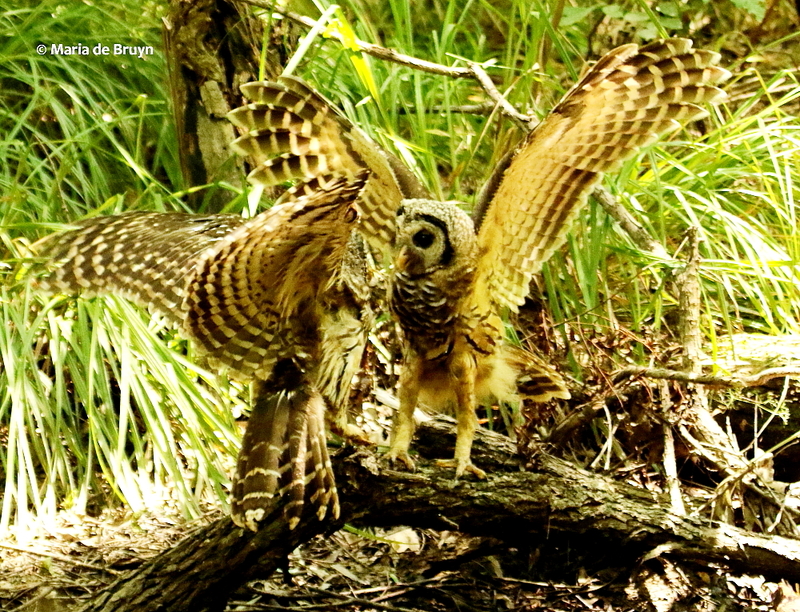 I love these owl pictures! They are so expressive. I’m so glad you liked them, Margaret! 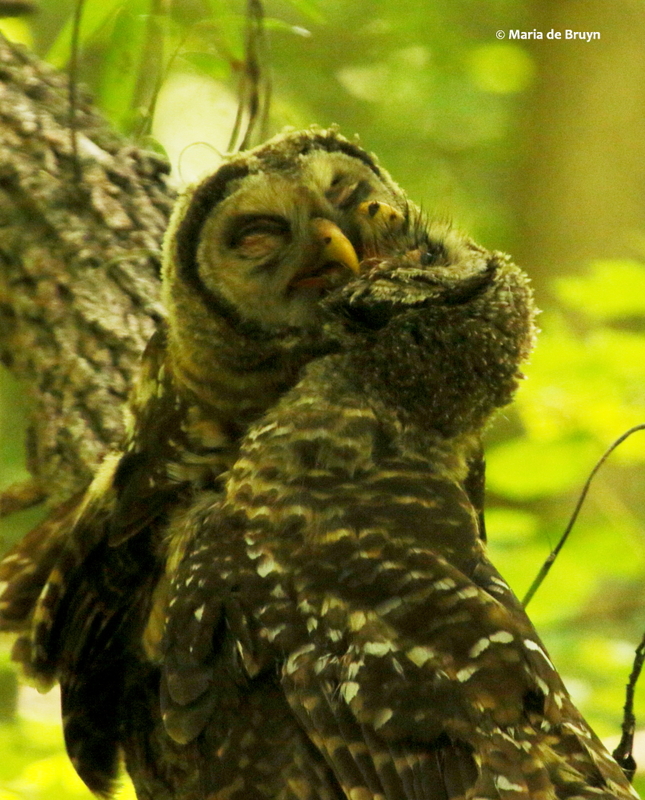 I wish the lighting had been better but you can still see the owlets pretty well. (And I am not a Photoshop or Lightroom user.) Thanks for commenting! Excellent! I really enjoy reading these 3 part blogs. It makes me feel like I was there to observe them, too. 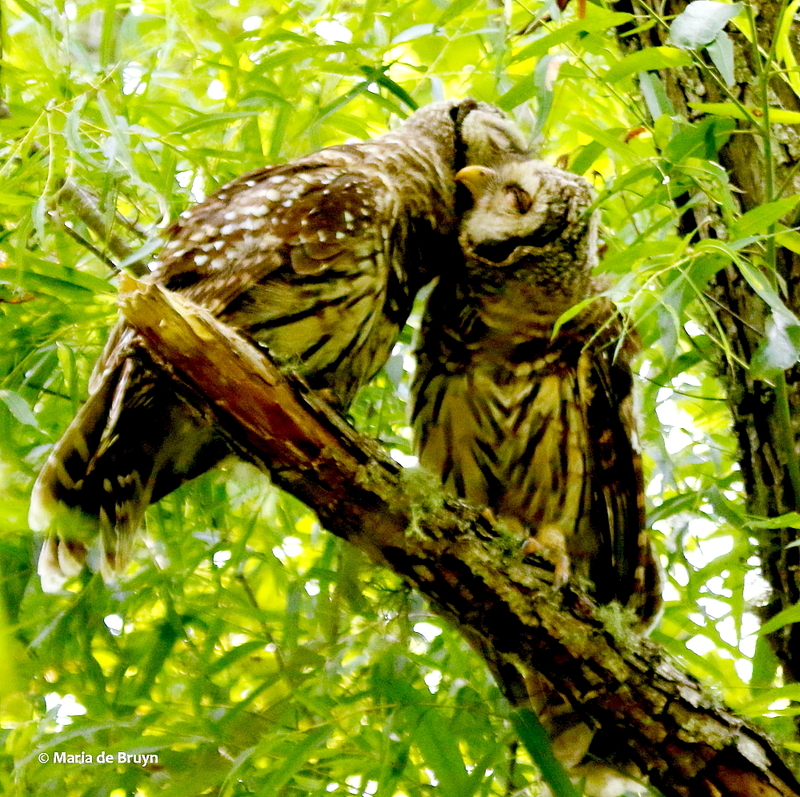 (I wish I was) You have a lot of wonderful pictures showing the owls in various moments and activities. Love it! I’m so glad you enjoyed this, Malai. I do think you would have fun watching them. Maybe one day we can go on a nature walk and something really interesting will happen! 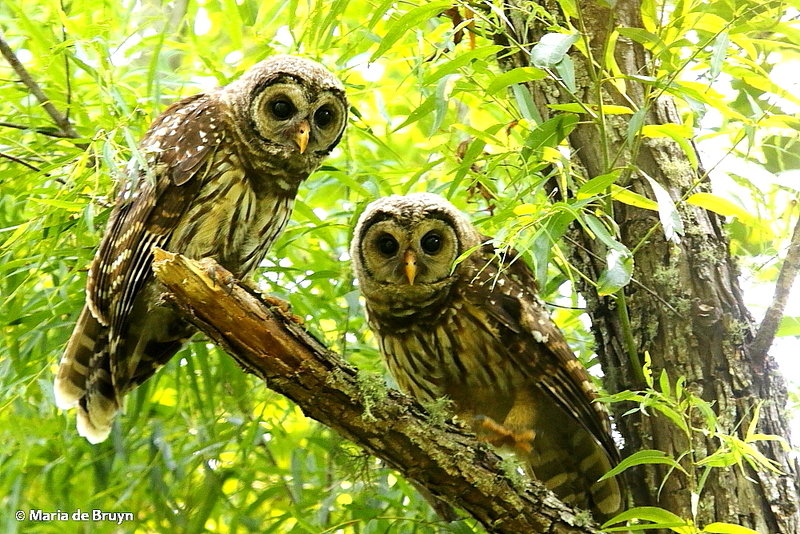 Excellent photos of the Barred siblings..a pleasure to view! Thanks, Cindy – glad you liked them!